Published 12th March 2015 by RED EYE (Stripes Publishing). Goodreads Synopsis: I must record the facts that have led me to where I am now. So that, when someone reads this, they understand. Sam Hunter’s neighbours are pillars of the community, the most influential people in town. But they’re liars too. The Greenhills are hiding something and Sam’s determined to find out what it is. As his investigation unfolds, he realizes the lies reach further than he ever imagined – is there anyone he can trust? Uncovering the horror is one thing …escaping is another. A chilling new story in the Red Eye series. 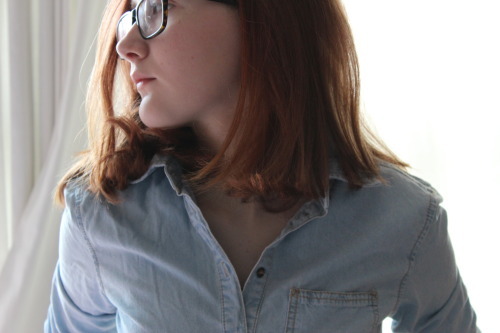 My Review: No exaggeration, I jumped up and down for a while when I heard about Stripes Publishing’s new imprint – RED EYE – a series of new horror YA novels, starting this year. I haven’t gotten around to reading the first two in the series yet, but was very excited when I was able to read this instalment! Flesh and Blood centres around Sam Hunter, who moves to a nicer and seemingly perfect neighbourhood after his dad’s success. Everything seems dreamily brilliant until he stumbles across the first horror, and then notices some strange traits in his neighbours… Then begins to search for the horrifying, shocking truth behind the Greenhills. I was absorbed in the story straight away and loved the format it was written in: Sam’s narration felt really honest and I liked how it was written as a report, stating the facts with occasional present-tense comments about what had happened. Sam is a very three-dimensional feeling character. The decisions he makes in this book are bound to drive people crazy… But in a weird way, I understood him because it was just realistic. Despite the suggestive cover image and the title Flesh and Blood, it was a lot gorier and freaky than I’d assumed – and it got freaky and gory very quickly. I’d read on the press release that this book wasn’t for the “faint hearted” and… Well, I can’t emphasise that enough… I got pretty squeamish at a lot of points! The story is pretty brutal. The plot was really great and felt like a classic horror story, yet refreshing – but the themes were just unnerving. I don’t even know how to talk about the ending. No words will do it justice! It’s twisted, horrific, and makes you question everything you knew about the main character – though I think it gave him more depth. It’s safe to say the last pages will be stuck in your head for days. I’m still wishing I knew what happened next – but in a good way. The cliffhanger-feeling is pretty epic in this. Overall, I was really blown away by my firs RED EYE read, and I will definitely be seeking out the other books from the imprint as they’re released. It was riveting: The story is definitely one of the most grim things I’ve come across – some points I got real chills. Definitely recommended, though only if you can handle its creepy contents. I’m now apprehensive about going to the doctor’s. 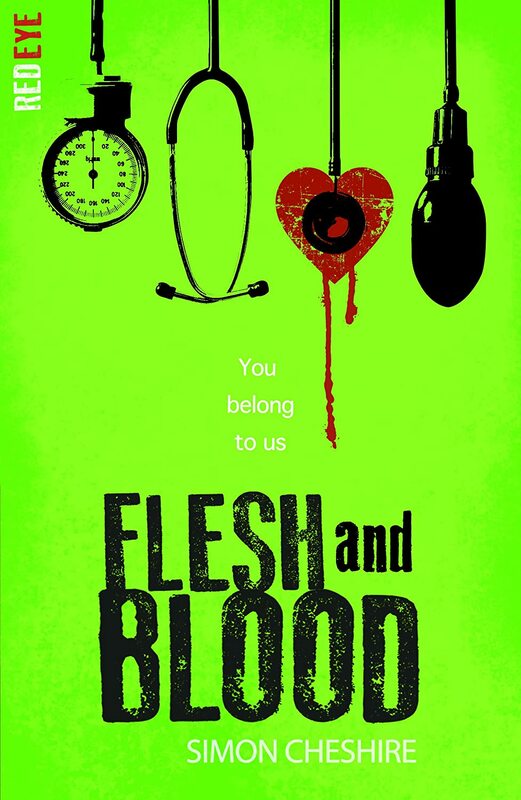 I received a copy of Flesh and Blood from the publisher, in exchange for a review. In no way at all did this affect my thoughts. This entry was posted in Uncategorized and tagged gore, horror, red eye, thriller, YA, ya red eye on March 12, 2015 by keithbwalters. Published 26th February 2015 by Orion Books. Goodreads Synopsis: Toby’s life was perfectly normal . . . until it was unravelled by something as simple as a blood test. My Review: I hadn’t heard of The Death House until I received a proof copy, but after reading the blurb I was sure I would enjoy it! The concept sounded very chilling and dark, and it definitely was – it’s very unsettling at points. The concept of the story is that if you get a certain result on a blood test as a child, you are sent to the Death House – here you stay with the other infected kids, similar to a boarding school, but there’s seemingly no way out… Unless you start to show symptoms and you’re taken to the sanatorium. Which nobody ever returns from. I liked the mysterious concept, as Sarah leaves much to the imagination of the reader. I tried to come up with possibilities and answers, my mind running away with all sorts of scenarios of the outside world. The whole book is very eerie, because nothing about this illness, and not much about the outside world, is fully explained. However it did get to the point where I just needed to know how and what and why. I was a little sad the ending didn’t completely wrap it up – the last few pages were incredibly tragic but I felt at the end that there was something missing. I’m quite mixed on the characters. They are incredibly well fleshed-out, real-feeling teenagers, and yet I just didn’t… Attach to them very much… Oh god I have no heart. I really don’t know why, but I know I’m in the minority of people who are mixed on this book – There have been so many five star reviews, and I can completely see why so many people have found this book, particularly the characters, truly astounding. Of course, there were a couple of bits I got quite choked up at but I just never felt like I was 100% into the story. Overall, The Death House was a very evocative, quick read – I really recommend it if you’re looking for a very chilling, mysterious standalone novel. 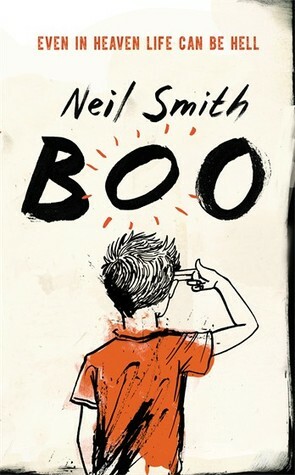 It’s hard to place it into a category, because it felt almost like a zombie novel, and it looks and feels like a dark horror, but it reads like a YA contemporary romance – quite bizarre sounding, but it’s incredibly memorable. I know I’m one of a small number of people who hasn’t enjoyed this just as much of others – for some reason, something just didn’t click with me – but I’m confident most people will be rendered completely awestruck by Pinborough’s inventive plot. I received a copy of The Death House from the publisher, in exchange for a review. In no way at all did this affect my thoughts. 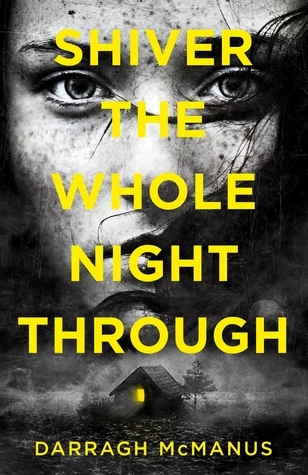 This entry was posted in Uncategorized and tagged chilling, contemporary, crossover, dark, debut ya, fiction, grim, horror, SARAH PINBOROUGH, THE DEATH HOUSE, thriller, YA on February 17, 2015 by keithbwalters. Published 6th November 2014 by Hot Key Books. Goodreads Synopsis: After months of bullying and romantic heartbreak, seventeen-year-old Aidan Flood feels just about ready to end it all. But when he wakes up one morning to find that local beauty and town sweetheart Sláine McAuley actually has, he discovers a new sense of purpose, and becomes determined to find out what happened to her. The town is happy to put it down to suicide, but then one night Aidan gets a message, scratched in ice on his bedroom window: ‘I didn’t kill myself.’ Who is contacting him? And if Sláine didn’t end her own life… who did? 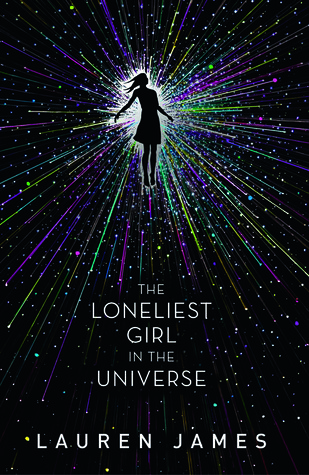 My Review: I dived into Shiver The Whole Night Through as soon as I could after receiving it, as there’s been a lot of hype around this book, and of course, I’m always eager to read new début YA titles! From the first page, I was completely absorbed the story, with the shocking event it opens with. I was also a little surprised by the narration of the book: I’ve tried to collect my thoughts about it properly but I honestly don’t know how I feel about it! I think Darragh McManus has captured a very unique and real-feeling voice, though I felt at quite a few points that the narration sounded too cocky, which bugged me a little. As I am with the narration, I’m a little mixed on the main character. I really loved the author’s character building skills, as Aidan Flood felt like a very realistic person to me. I liked him as a protagonist, especially at the beginning, but he did seem a little strange, in terms of his actions and feelings… He seemed eerily okay with some terrifying, and grim, things that happened in the book! I really enjoyed how the plot progressed; there was lots of great foreshadowing and little hints as to what was coming – I thought I had the ending completely correct, but when I got to it, I was just completely wrong! The story begins at a very grim point, but it spirals into an even darker state with each chapter.The horror elements were really great and chilling; I definitely got shivers (no pun intended) up my spine while reading. Overall, I really enjoyed reading Shiver The Whole Night Through, though it wasn’t what I’d expected and I’m a little mixed on some things. I was, well and truly, hooked – There was never an uneventful chapter. It’s a brilliant read for those who want to curl up this winter with a thrilling and chilly story! I’m probably in the minority though, but there was a few parts I didn’t really enjoy, or thought could have been written differently – though I do applaud Darragh McManus for writing a really creeeeepy début. I received a copy of Shiver The Whole Night Through from the publisher, in exchange for a review. In no way at all did this affect my thoughts. This entry was posted in Uncategorized and tagged 2014 release, book review, crime, dark, darragh mcmanus, debut, debut ya, grim, horror, shiver the whole night through, YA on December 4, 2014 by keithbwalters. Published 2nd October 2014 by Hot Key Books. Goodreads Synopsis: It is 2084. Nuclear radiation has poisoned the country. Society has fallen apart. Starvation is rampant, and power shortages have resulted in piles of obsolete gadgetry. Necessity has driven those who’ve survived to complete self-reliance, if they have the means to do so. For Melissa and her Nan, survival is just about possible, so long as they can guard the tiny crop of potatoes in their back garden and find enough fuel to cook on – and as long as they are safely barricaded inside their home by curfew. My Review: I enjoyed Sarah Mussi’s RIOT (review here!) earlier this year – so when I discovered that Sarah’s newest tiels would be out so soon, I was eager to read it! I think I may have even enjoyed this more than Sarah Mussi’s last. 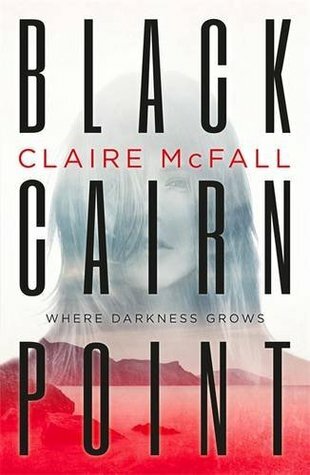 It’s an edge-of-your-seat, nail-biter of a novel, with some really clever plot elements. The dystopian setting was very bold and interesting. England’s completely flipped around – the victim of nuclear destruction, growing slum-like conditions, a controlling army, and mass food shortages. Sarah Mussi gave such great descriptions of the world, building it up so it was a perfectly formed image in the readers head. However, I don’t think it was fully explained how England came to be such a dystopia – I would have loved for the book to delve into the reasons! Marissa was a likeable main character. I don’t think I ever connected with her on a huge level, but she was a really strong, clever protagonist. I found her relationship with the main characters she meets, especially Lenny, so captivating and memorable. I really enjoyed reading about them! Overall, BREAKDOWN was a great dystopian read. I really liked the protagonists, and the plot was very clever – there were so many briliant and unexpected twists and developments that made it hard to put the book down! 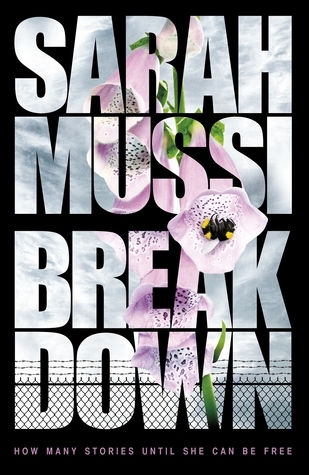 I think Sarah Mussi’s dystopian world in BREAKDOWN is possibly her most unique… and I would happily read another book set there 😀 I think my main issue was that I wanted a more concrete story of the events that lead up to Marissa’s situation at the beginning, and the country’s situation in general too. Definitely recommended! I received a copy of BREAKDOWN from the publisher, in exchange for a review. In no way at all did this affect my thoughts. This entry was posted in Uncategorized and tagged apocalyptic, dystopia, friendship, horror, hot key books, love, mussi, october release, post-apocalyptic, sarah mussi, ukya, YA, ya fiction on October 20, 2014 by keithbwalters.